Poland tourism is taking off in a big way, get there before the big crowds arrive. Poland has an exceptional history in Europe, many a times the country is pulled between Russian and Western interests. Just in case you are planning a trip to Poland, here is some background information your ought to know. The official name of the country is the Republic of Poland. It covers an area of approximately 120,000 square miles, about the same size as the State of New Mexico in the United States. Warsaw is the capital of Poland, which is also the biggest city by population with nearly 1.7 million residents calling it home. 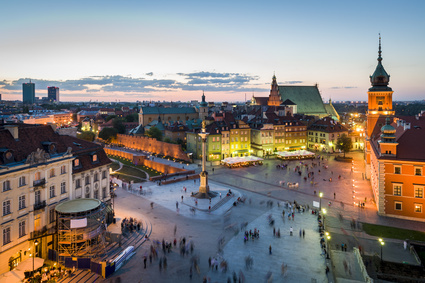 Other cities of significance include Lodz with a population of just fewer than 800,000, Krakow with 760,000 residents and Gdansk with 460,000 people. The terrain of Poland is primarily flat although mountains can be found in the region along the southern border of the country. Poland is a country in Central Europe and it is bordered by Germany to the west; the Czech Republic and Slovakia to the south; Ukraine, Belarus and Lithuania to the east; and the Baltic Sea and Kaliningrad Oblast, a Russian exclave, to the north. The total area of Poland makes it the 69th largest country in the world and the 9th largest in Europe. Poland has a population of over 38 million people, which makes it the 34th most populous country in the world and one of the most populated member of the European Union. The inhabitants from the Republic of Poland are known as Polish. The most recent census found there are 36.8 million people living in the country, though a number of them are undocumented aliens. The annual growth rate for the population is stagnant, neither growing nor declining sufficiently to be considered to be changing from a statistical point of view. 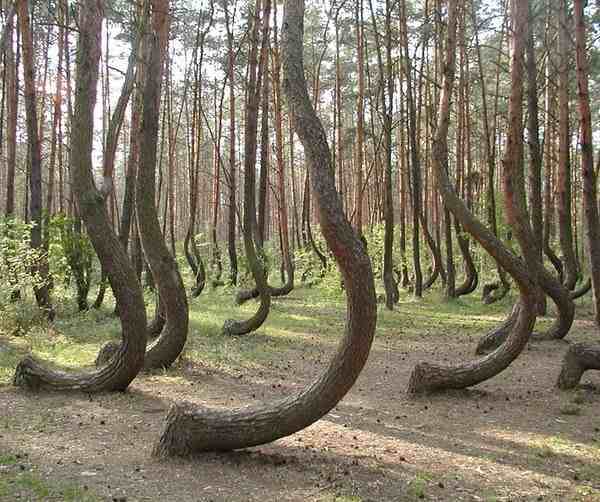 The Crooked Forest (Polish: Krzywy Las), is a grove of oddly-shaped pine trees located outside Nowe Czarnowo, West Pomerania, Poland. populated by its own people with Polish people making up 98 percent of the ethnicity. A bit of German, Ukrainian, Belorussian and Lithuanian people also live in the country. Poland is a chiefly uniform religious country. Over 90 percent of Poles subscribe to the Roman Catholic faith. Followers of Eastern Orthodox, Uniate, Protestant and Judaism can also present. The literacy rate in Poland is over 98 percent, on par with rates throughout much of Europe. The official language is Polish, which is also the dominant language actually used by the citizens of Poland. Life expectancy for Polish men is 70 years of age, while women live an extra nine years on average, a striking difference. Poland is often overshadowed by Hungary and Czech as a travel destination in the former bloc countries of the Soviet Union. This gives you an opportunity to experience it before the horde of tourists start taking over this beautiful quaint country. On April 10, 2010, Poland's government suffered a devastating blow when an aeroplane crash killed the president, Lech Kaczynski, and dozens of the country's top political and military leaders, as their Soviet-designed aircraft was trying to land in heavy fog in western Russia. President Kaczynski, 61, was arriving in Smolensk for a ceremony to commemorate the 70th anniversary of the murder of more than 20,000 Polish officers by the Soviet secret police after the Red Army invaded Poland. commissioner for civil rights protection, Janusz Kochanowski; the heads of all of Poland's armed forces; and dozens of members of parliament. A spokesman for Poland's ministry of foreign affairs said 88 people were on the plane. Russian emergency officials said the total number killed, including crew members, was 96. This is the most tragic event in the history of Poland outside wartime.